OK, it’s just a dot. But that dot is a massive star ending its life in a titanic supernova explosion. 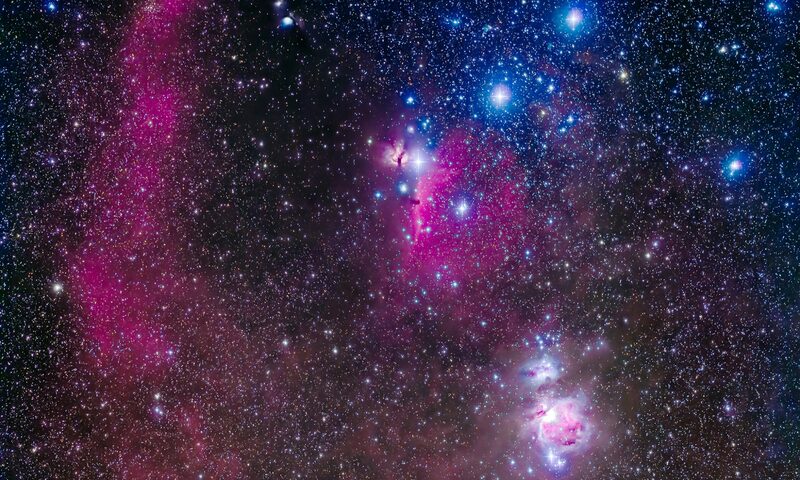 Unlike all the other stars in this picture, which are close by in the foreground of our own Milky Way Galaxy, that one star indicated is 38 million light years away. It lies in another galaxy altogether, in the outer spiral arm of the galaxy M95. Discovered on March 16, Supernova SN 2012aw is now shining with the light of a hundred million suns as it blasts most of its starstuff into space. It is these types of stellar explosions that seed the universe with the elements heavier than lead. I took this shot Monday, April 9 through my 5-inch refractor, an instrument not ideally suited for shooting small objects like galaxies. 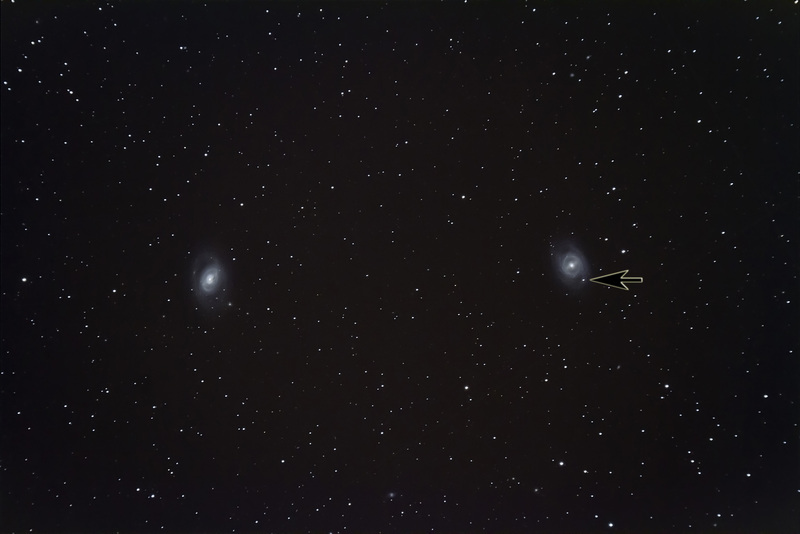 But its wider field here does take in not just M95 but also its companion in space, the spiral M96 at left. Both are barred spiral galaxies in Leo, on the list of targets compiled by Charles Messier in the late 18th century and favourites of backyard astronomers. It’s rare to get a supernova as bright as this (anyone with a modest telescope can see it) letting off in a well-known “top 100” galaxy like M95. Take a look on the next clear night, and contemplate the cosmic forces at work to make visible a single star across a gulf of 38 million light years.